Tue 16 Apr – Milan. Subject matter experts from many NRDC-ITA Sister Headquarters traveled to Ugo Mara Barracks to participate in a two-day BSM seminar. With the aim of sharing best practices across the Alliance, the challenges of managing the battlespace in a high intensity (Article V) scenario were considered. The seminar included briefings on cyber defence, frequency management, and ballistic missile defence. Attendees were then split into syndicates and given a subject and problem to consider. The results were then collated and will be shared and used in the adaptation of NRDC-ITA procedures. This is the second iteration of this seminar at NRDC-ITA and it reaffirms the Milan HQ as a learning organization, as well as a training hub for NATO and Italian units. 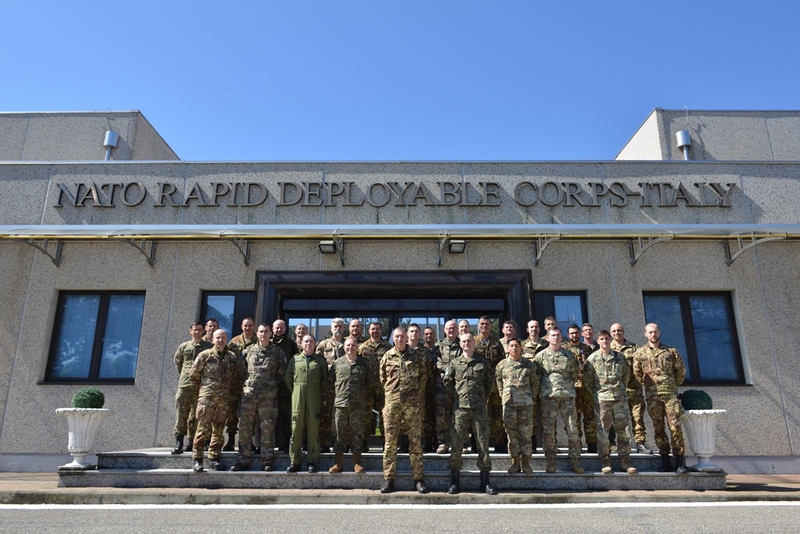 Having recently completed its turn as NATO Response Force HQ, NRDC-ITA is now fully engaged in the process of realigning itself as a war fighting corps HQ. The realignment is guided by the desire to share best practices to help NRDC-ITA and NATO meet the 21st century threats.